Bauhinia thonningii is a legume tree 4 to 15 m high, with a round crown. 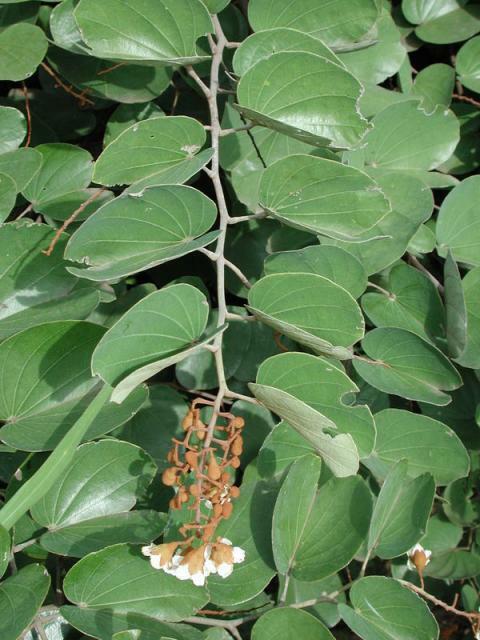 The leaves are glossy, bi-lobed, reticulated, 15-17 cm long. They look like camel's foot and account for the tree common names "camel's foot" or "kameelspoor" (SANBI, 2010). The bark is rough and fissured, dark brown to black. It has deep roots. Flowers are unisexual, usually found on different trees, white to pink, pendulous and fragrant (FAO, 2009). The fruits are indehiscent pods, 26 cm x 7 cm, hairy when young and dropping their hairs as they mature. Bauhinia thonningii is a multipurpose tree. The pods contain an edible pulp and pea-like seeds. Leaves are also edible and used to relieve thirst. 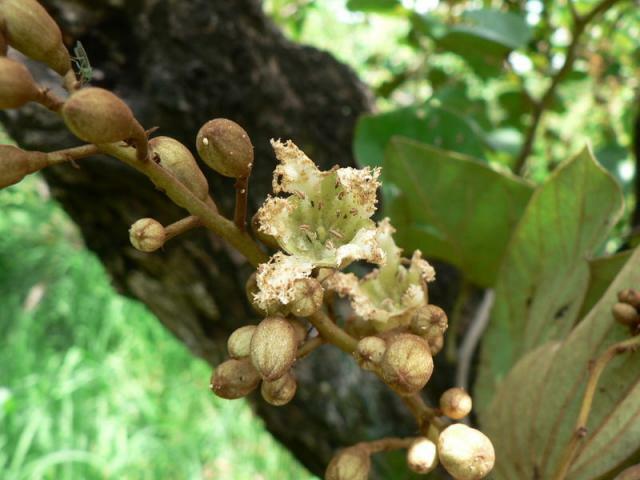 The plant is used to make firewood, ropes, dyes and gums, and is used in ethnomedicine. An extract compound (piliostigmin) was found to have virucidal activity against the herpes virus (HSV-1) and African swine fever virus. Bauhinia thonningii trees are browsed by cattle, antelopes and elephants (which tend to destroy the trees) (Orwa et al., 2009). Bauhinia thonningii is native to Africa. It grows in open woodland, wooded grasslands and sub-humid savannas from sea level up to 1300 m. Optimal growth conditions require an average annual temperature of 20 °C, 700-1400 mm annual rainfall and heavy clay to loamy soils. It is tolerant of acid soils and can withstand dry conditions. Because of its deep roots, Bauhinia thonningii prevents soil erosion. It provides large amount of litter and organic matter to the soil. It is tolerant of fire and quickly re-sprouts after fire (Gignoux et al., 1997). It is a good companion for Annona, Grewia and Combretum species. It can be intercropped with maize provided that its leaves are pollarded to reduce shade (Orwa et al., 2009). In cities, Bauhinia thonningii planted in the streets provides good protection against noise and shade in public spaces. It is also a valuable ornamental (SANBI, 2010). Bauhinia thonningii contains high levels of condensed tannins (Mlambo et al., 2007). 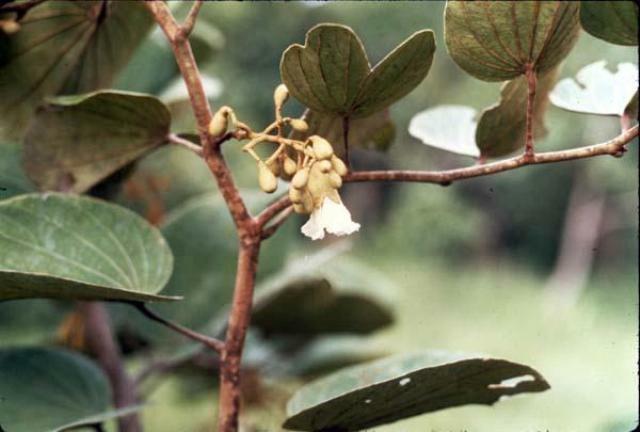 Bauhinia thonningii is poorly consumed by cattle and small ruminants (Toutain, 1980; Ouédraogo-Koné et al., 2006). It can also be used to feed goats (Kavana et al., 2005). It may be used as a potential protein bank during periods of scarcity (droughts) as it does not drop its leaves or pods early (Mandibaya et al., 1999). 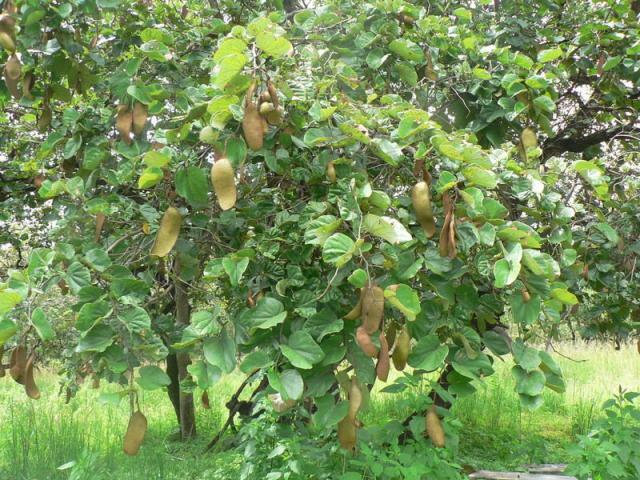 Various methods have been proposed to improve the feeding value of Bauhinia thonningii pods and browse for ruminants. Increasing the protein intake may dilute tannin and then improve utilization of the browse (Rubanza et al., 2003). Soaking the pods in water or NaOH or adding wood ash may reduce the content of condensed tannins (Mlambo et al., 2001). Crushing the pods has been suggested as a way to increase their digestibility (Toutain, 1980). 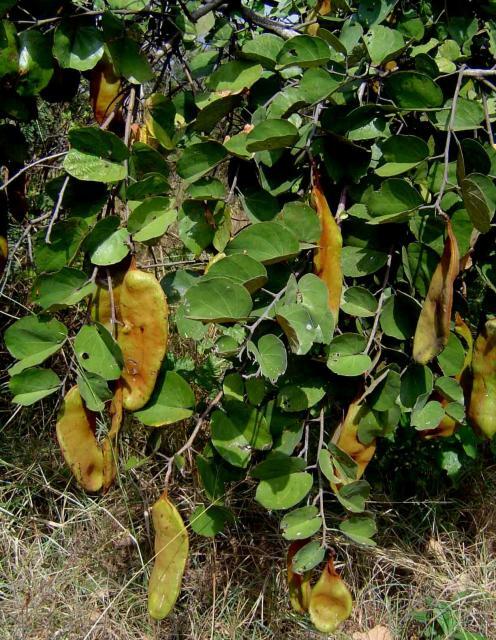 In Burkina-Faso, ground Bauhinia thonningii pods were found to be a potential supplement to growing sheep grazing natural pastures, or to fattening sheep fed cottonseed meal or ground velvet beans (Mucuna pruriens) (Kima, 2008).